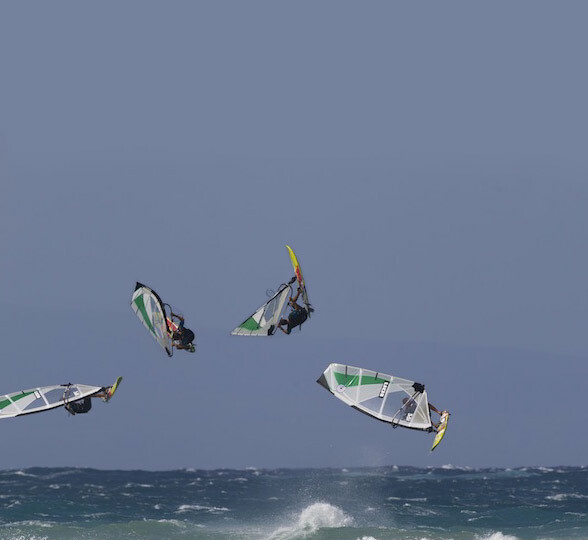 Backlooping is a key move in your wavesailing arsenal, the rotation is smooth and floaty! Adam Lewis of the Black Team explains step by step how to land nice backloops. Stop grabbing the mast and stalling out, move those hands! Keep your head looking where you want to Go! The further you keep the rig away from you the easier it is to stay low and in control! This video how to comes from Greek pro Stam Promponas, who shows us how to Ponch. Carve down wind aggressively and look for good chop. Just before hitting the chop bring the sail close to your front hip. Hit the chop and try to rotate over the sail. The key to the Ponch is to put the sail in the right position before the jump. It can be broken down into two steps, 1, put the sail to the front hip, 2, hit the chop. It’s important to realize how much correct sail tuning can affect performance and your fun on the water. Downhaul tension and the overall luff curve of the sail is affected by the downhaul measurement, so it is very important to achieve the optimal setting for your session. You probably know about the luff measurement marked on your sail, for example 12cm, and you set your base to 12cm. But did you know each manufacture might have slightly different measurements, so if you are using a different brand extension this could be crucial. So although not noticeable to the eye, a centimeter can make a large difference So use this method to confirm your specs. then printed in the sail. The downhaul is one of the most crucial steps to rigging. It controls the shape of your windsurfing sail and can’t be changed while sailing. Finally, confirm that your tack pulley is as close to the base pulley as possible. 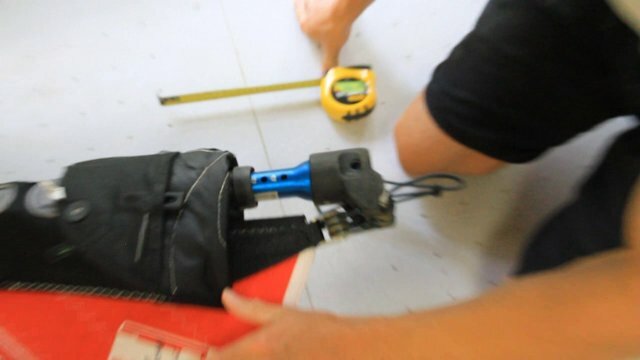 Check out the video where Artur Szpunar of Maui Sails explains how to tune and measure your downhaul settings according to the sail specification box. Forward Loop / Speed Loop from Adam Sims on Vimeo. Two essential parts to this, you want to be well powered up or to the point of being almost over powered. This way you will help yourself when it comes to the next two parts. For the take-off itself you need a small bit of chop, either coming at you or going away and somewhere between across the wind and a broad reach (a bit off the wind), if we are talking clocks where 12 on the clock is pointing into the wind then you want a ramp that is between 3 and 4.30, ideally 4 is the perfect angle. Quite often if I have the choice (when on wind blown chop) to take off a bit of chop into the wind or head off the wind, I’ll choose the back of the chop that is off the wind, when you do this, you must make sure you are going faster than into the wind. Hands back (both of them) the back hand to the back of the boom where the clamp is to extend the boom and the front hand (thumb) touching the harness lines. Do this the second before take-off. This is one bit to change if you are still landing on your back despite following all of this. Check the additional tips below. As you push down (as hard as you can) on the back foot for take-off (keep focus on hands though), extend as high as you can with your front hand towards the sky and in the direction of the apparent wind (just upwind a bit from the nose of the board). Don’t apply any pressure to the sail with the back hand by sheeting in yet, just use it to reach even higher, like you are at the bottom part of a pull-up. This part is simple, really you get this bit right and it’s 70% of the move. To rotate fast you have to………….. Practice! Know when to do a turn a trick or an air. Matt Pritchard teaches a friend and fellow windsurfing instructor how to forward loop. If you’re looking to learn hopefully you can pick up a few tips from this video. Seen more and more, the double forward loop is becoming a standard move in competitions. Not just the PWA World Tour but even national tours as well. So with more and more going for them, it’s about time we find out the finer details and technique. We approached Marcilio Browne to give us the low-down on how to go big! Head over to Boardseeker for all the details! Ant Baker from the Baker Academy takes you though the 3 easy stages of the Body Drag.